Kiowa County (population 1,585) was created in 1889 and named for the Kiowa Indians who lived in the region before Europeans arrived. Early settlement activities had led to conflict with the Cheyenne and Arapaho people, culminating in the infamous Sand Creek Massacre in November of 1864. Originally viewed as a victory in the war against hostile Indians, it soon became clear that it was a slaughter of the elderly, women and children and became a national scandal. The location is now recognized as a National Historic Site. Throughout the twentieth century Kiowa County grew in population and reached its peak population in the 1950s, when there were a number of large schools, large towns, and plenty of commerce moving along the train lines and highways of the county. The closure of the locally-owned bank in 1983 began a decline, which continued as absentee landowners bought thousands of acres put into the government’s Conservation Reserve Program in the late 1980s. The county’s low population is expected to drop slightly during the rest of this decade, in part due to ever-decreasing water supplies. In 2000, the County purchased the historic Nipp-Bransgrove Building in Eads’ central business district. This dilapidated landmark had played an important role as a public meeting space and home to several businesses over the years. Following a rehabilitation funded by state and local partners, the building once again contributes to the economic vitality of the area. Occupancy on Maine Street has increased, as have business and employment opportunities and services, with the building now home to a day care center, the County Department of Social Services and the County Economic Development Foundation An open house, including oral history presentations and a photo display, celebrated the building’s rehabilitation, helping preserve the community’s cultural heritage. The success of this project has served as a model and led to strong interest in undertaking other preservation efforts in the area. Kiowa County adopted a historic preservation ordinance and established a county historic preservation commission in March of 2005. 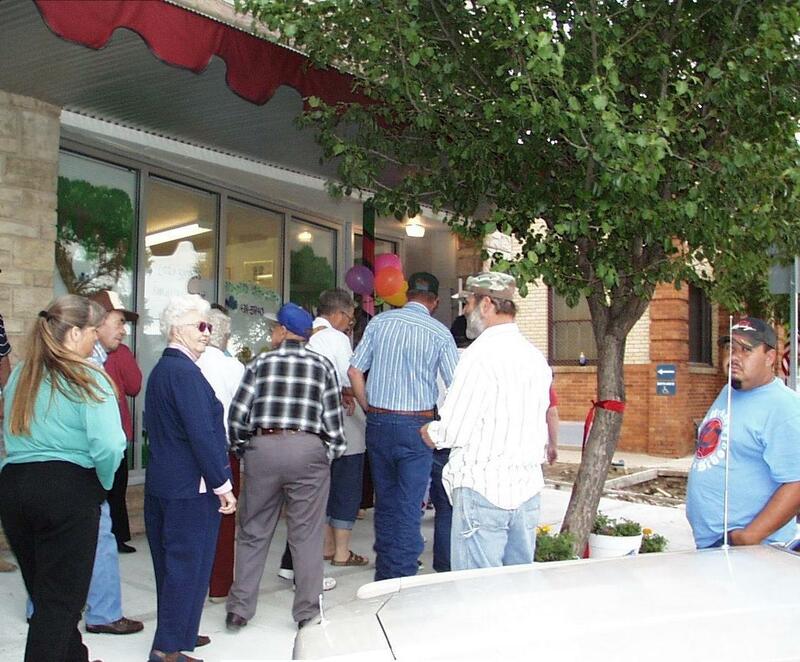 Since then, Kiowa County has qualified as a Certified Local Government and has listed seven properties as local historic landmarks. Currently a large, recently formed non-profit group is trying to save three historical buildings on Maine Street to create the Crow-Luther Cultural Events Center. The planned Center would serve as an arts venue, as well as an interpretive center and base for tours for the Sand Creek Massacre National Historic Site. Many creative projects connect local youth with local history. Students conducted research and wrote pieces that appeared weekly in the local newspaper for a full year, a program that won state and national awards. Teams of 4th graders and high school students conducted oral history interviews with war veterans and original homesteaders. Students have also been the catalyst for work towards rehabilitating the historic Plains Theatre, researching and writing a nomination for the local historic register, and are researching a historic barn and historic cemeteries. Eads High School now offers an elective in community development, increasing awareness of heritage resources and local planning issues. The community has been awarded a grant from the National Park Service’s Rivers, Trails and Conservation Assistance Program to develop recreational trails along various heritage and historic resources to promote community and public appreciation of these treasures. This linkage of cultural and natural resources should also help draw visitors to the area and benefit the local economy. Designated a Preserve America Community in April 2007.